The wait is nearly over for everyone who’s been peering off I-10 to watch the former Tinseltown transform into Topgolf. Louisiana’s first Topgolf location held a private event Wednesday night to show off its food, drinks, event space and, of course, iconic golf range. Officials wouldn’t unveil the exact opening date just yet, but they plan on sending out a press release Monday, Jan. 7, announcing its grand opening. 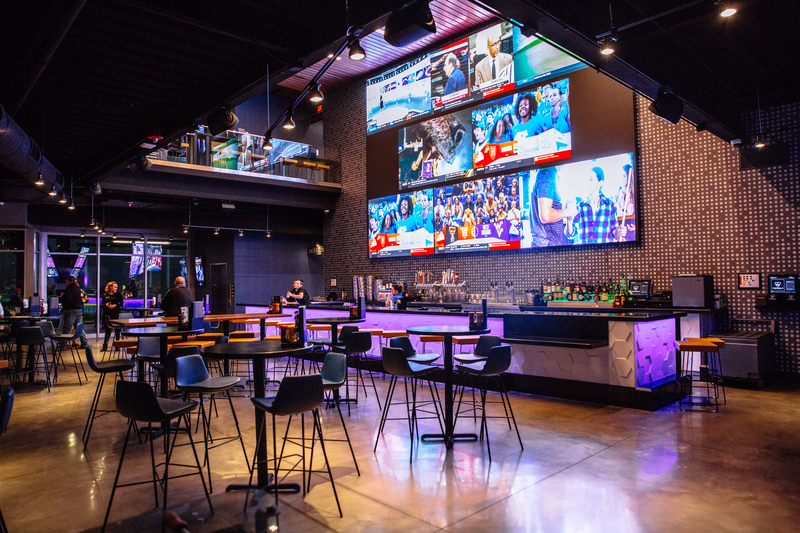 The three-floor venue features 72 golf bays complete with tables or couches, an easy, interactive touch screen to get your games started, and overhead heaters for the few cold months in Baton Rouge. Each bay can host up to six players at a time with a variety of games that challenge players to hit certain targets on the expansive green. Both men’s and women’s and left- and right-handed golf clubs are provided at each bay. You can also get food and drinks delivered to your table or sit at one the bars on the first and third floor lined with plenty of flatscreen TVs similar to what you’d find at any sports bar. Topgolf’s food and drinks will mirror the standard menu found at other locations of equal size. It includes everything from wings and burgers to charcuterie boards and flatbreads, as well as some sweet treats including injectable donut holes, which you can fill with several sweet options. 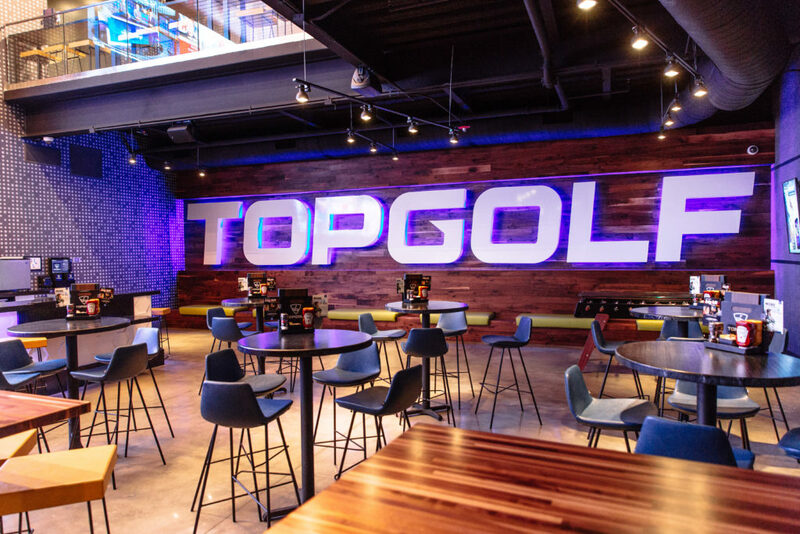 The drink menu will feature most standard spirits, wines and beer, along with some Topgolf originals like the Pineapple Punch Golfbag or Topgolf Tea. 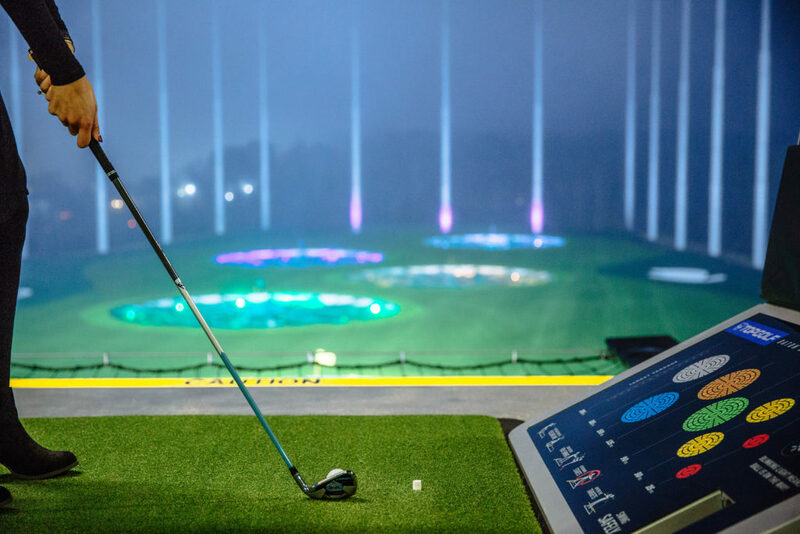 Topgolf’s Baton Rouge location hired 350 new associates for its opening, and the space allows for much more than just a few fun hours on the colorful golf range. Bennett says the venue can host events for up to 800 people, with private event rooms available to rent. They provide event packages for birthday parties or corporate events that include food, drinks and golf and allow for live music bookings on certain levels. 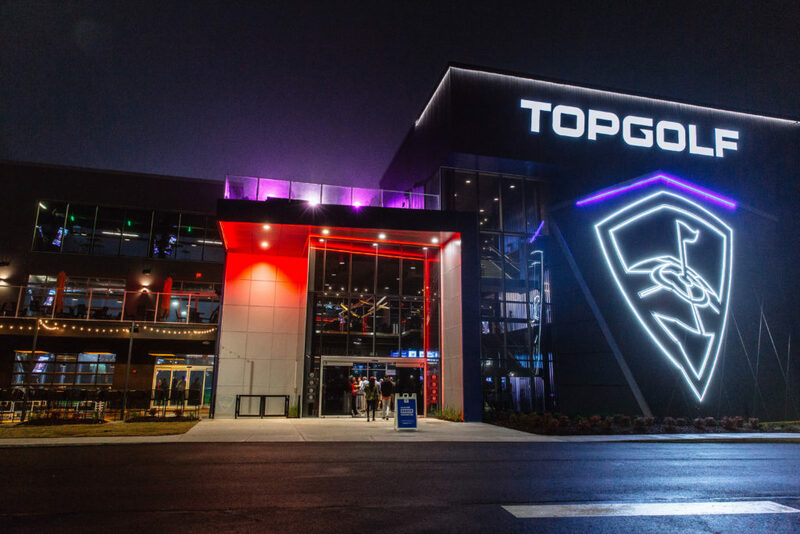 Topgolf also hired an on-site director of instruction who will provide private lessons on location, as well as summer camps for kids and sometimes even entire golf tournaments. 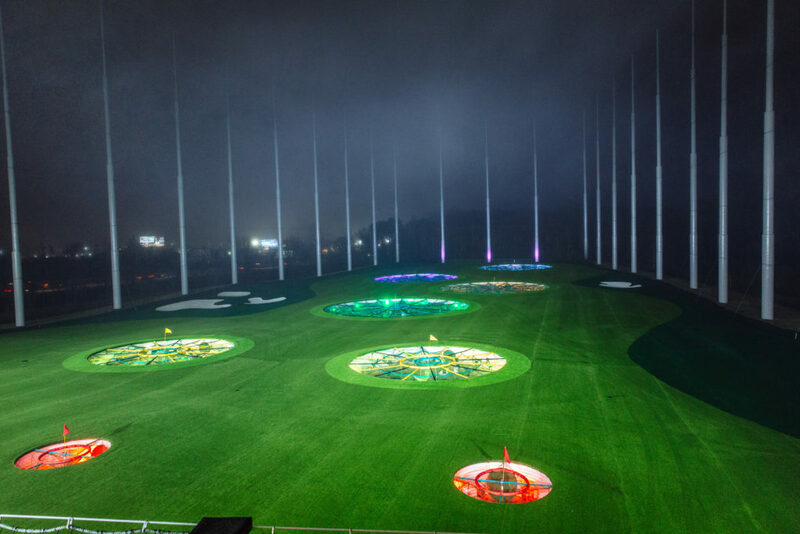 Check the Topgolf website’s page for Baton Rouge for the latest information on the grand opening.